Model 18 with Part # 1533-18-03-1 or earlier does not support hard drive port address 1F0-1F7h. J4/jumper 3 and J4/jumper 4 are not used on Model 18 with Part # 1533-18-03-1 or earlier. 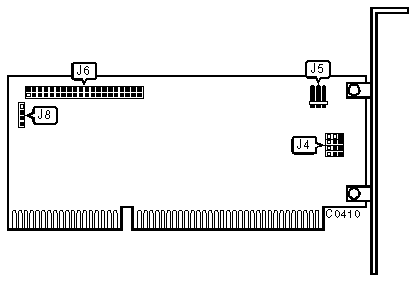 J4/jumper 1 is not used on Model 18 with Part # 1533-18-04-7 or later.